Casey Anthony and attorneys react to "Not guilty" verdict. In case you missed the most shocking acquittal since the OJ Simpson trial, 25-year-old Casey Anthony dodged a major bullet on first-degree murder, manslaughter and child abuse charges brought on by the death of her 2-year-old daughter, Caylee Anthony. The "Not guilty" verdicts sent the nation and social media networks into a frenzy Tuesday afternoon after a jury deliberated for more than 10 hours over two days in the Orlando case. While she does not face the death penalty, she was found guilty of four misdemeanor counts of lying to investigators. Casey Anthony will be sentenced Thursday and could receive up to a year in jail on each count. But since she served pre-trial detention since 2008, she may only serve several months. Is this trial another example of great defense or faulty prosecution? Could be a combination of both, as defense attorneys gave the scenario of Caylee Anthony drowning in the family pool, Casey's father covering it up, then blaming the act on alleged sexual abuse from Casey's father. Prosecution tried hard to convince jurors that Casey used chloroform and duct tape to suffocate her daughter, put her in the trunk and not report her missing for 30 days. Then she goes partying, gets a tattoo, "Beautiful life," and makes up elaborate stories about her daughter's June 2008 disappearance. Well, the biggest hole in the state's case is there was no direct link of Casey to Caylee's murder. A medical examiner could not pinpoint a cause of death, nor did the DNA evidence from the tape match Casey's. 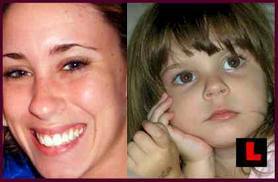 We know the prosecution has the burden of proof, which was not met, thus Casey Anthony could very well walk free this week. It all rests on the judge. Nevertheless, a little girl remains dead and gone, her murder a mystery. But it's no mystery to Casey or God, who knows all. All we can do is pray for the Anthony family so they can heal and move on. What do you all think of the verdict? SOUND OFF!